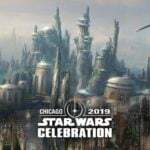 We have finally made it to Star Wars Celebration Chicago to take in all of the excitement from a galaxy far, far away. 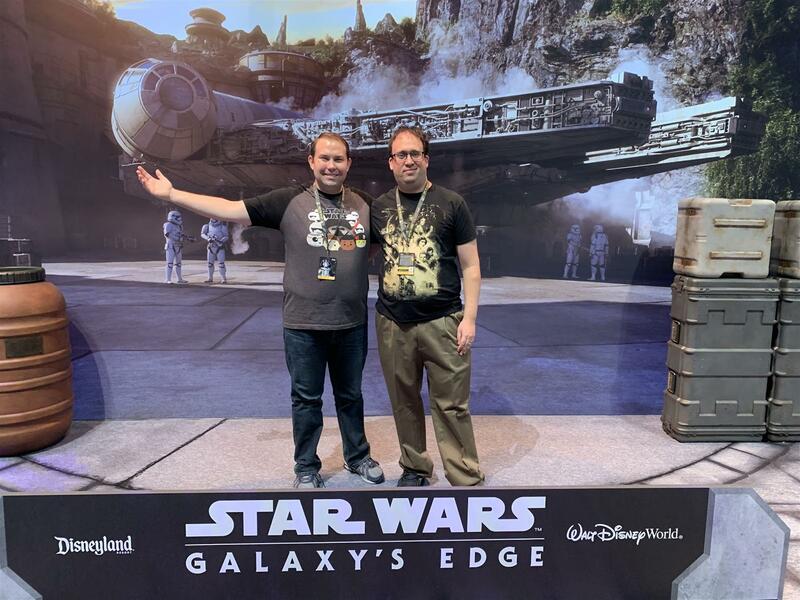 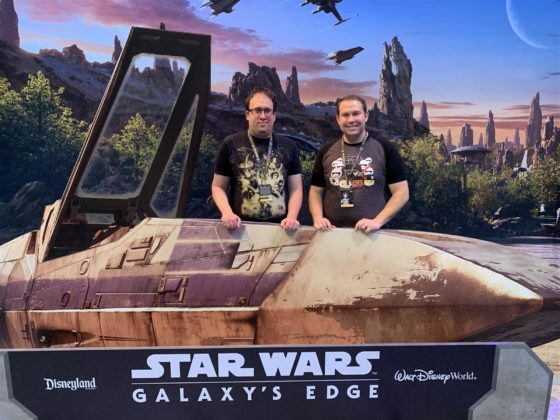 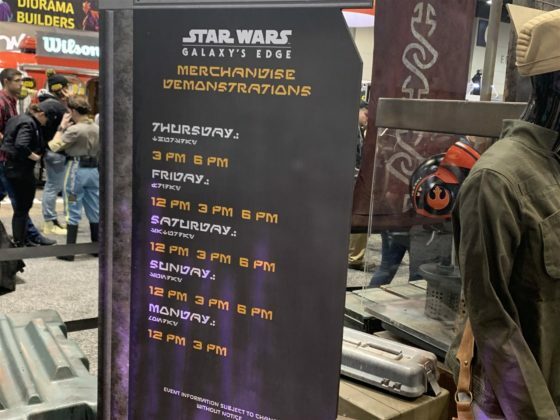 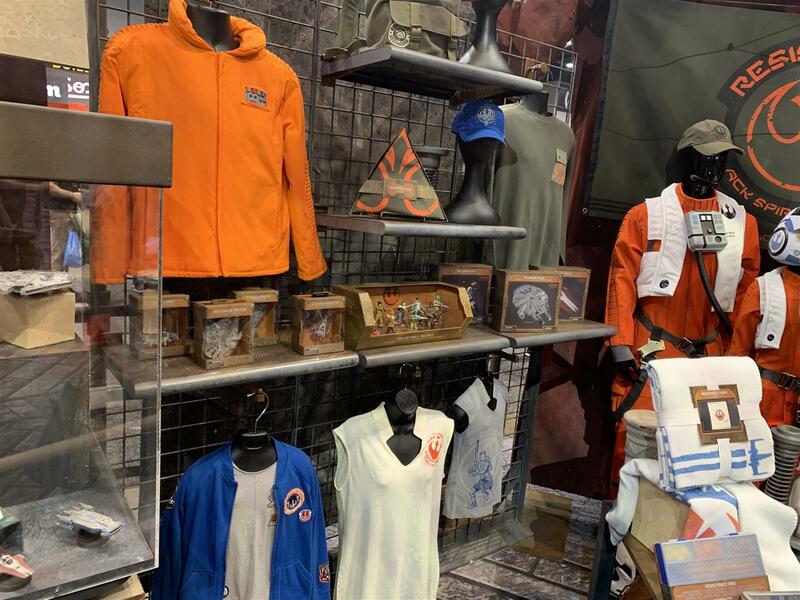 One of the main attractions at the celebration is the Star Wars: Galaxy’s Edge booth where, over the next few days, we’ll see all kinds of merchandise, a ride vehicle and more. 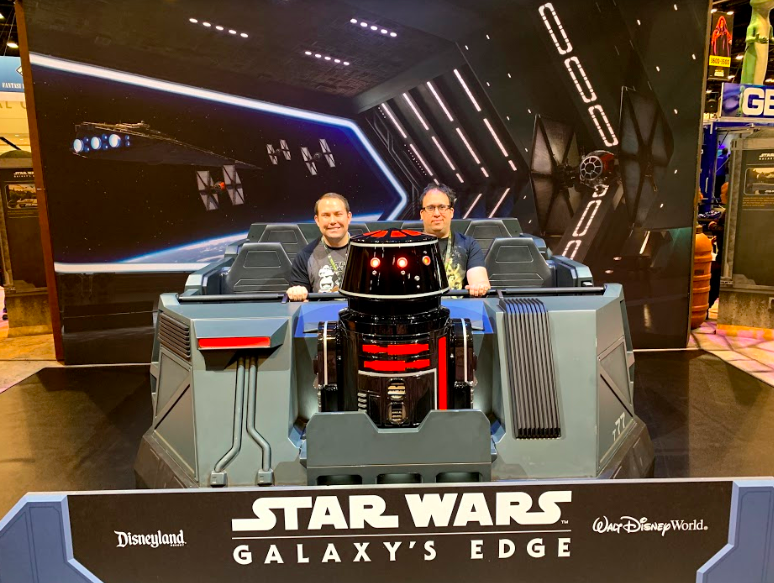 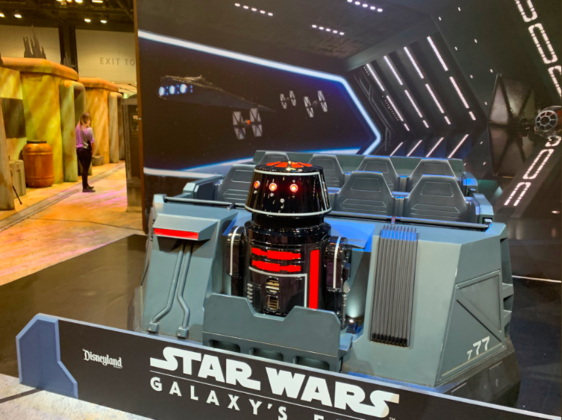 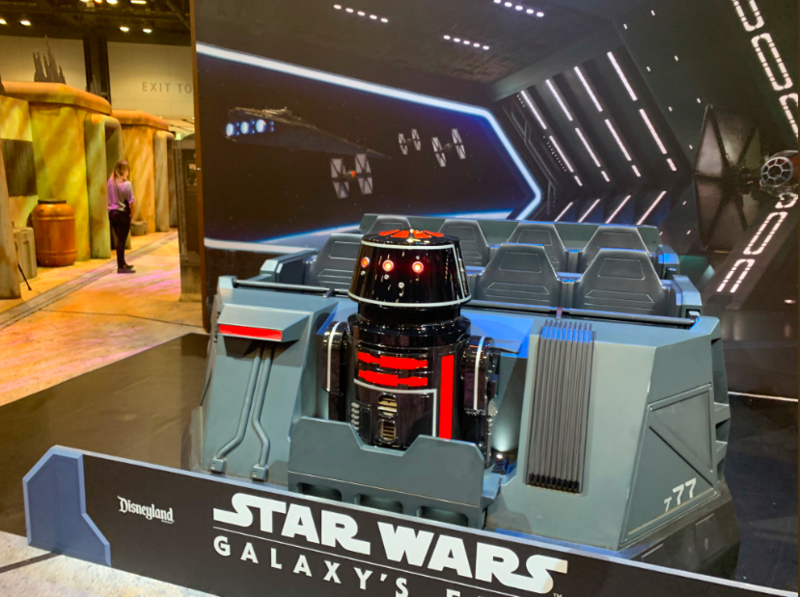 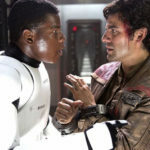 The booth features one of the ride vehicles for the highly-anticipated Rise of the Resistance attraction coming to the lands at both Disneyland and Walt Disney World. 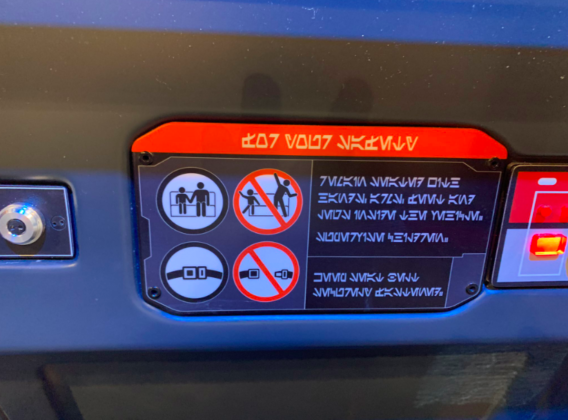 Guests can see an eight-passenger vehicle led by an Astromech droid as well as a safety warning in the Star Wars language of Aurebesh. 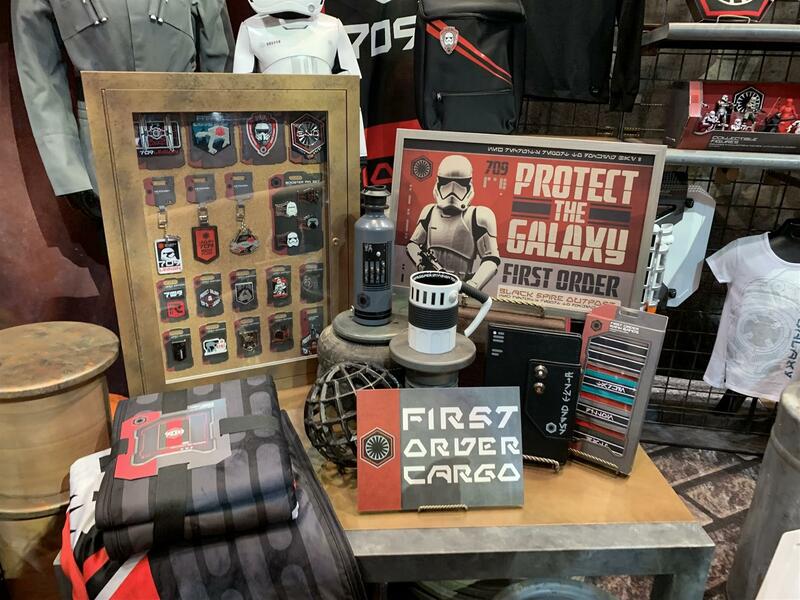 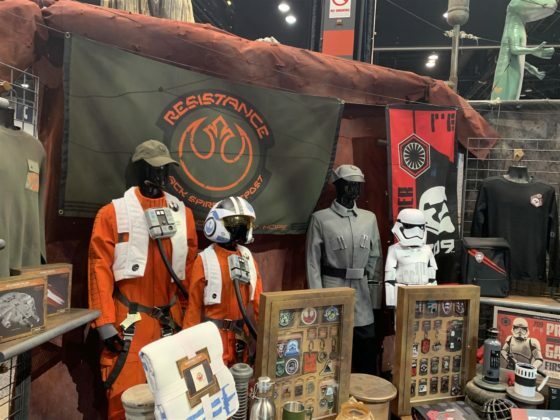 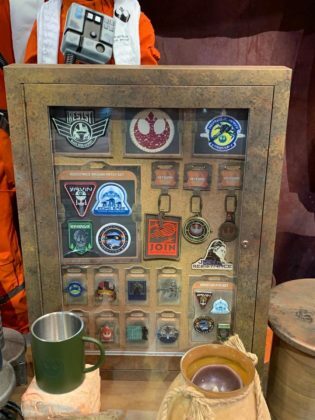 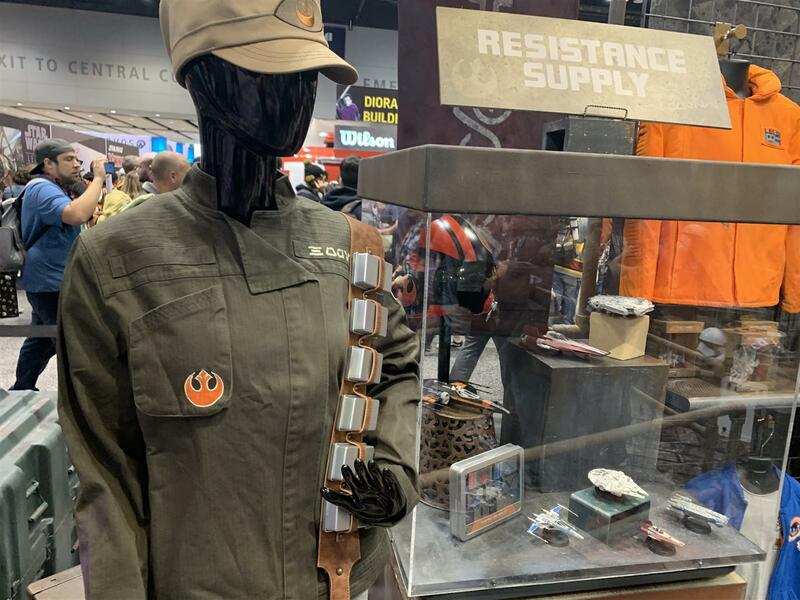 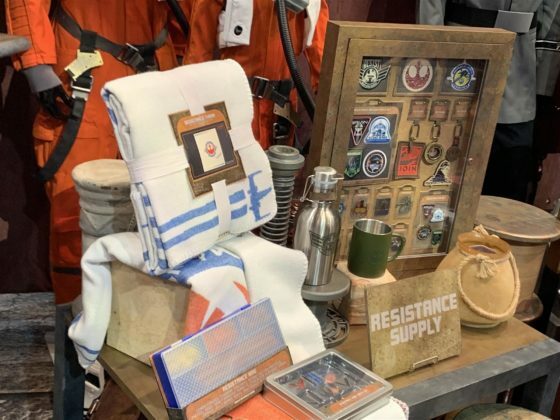 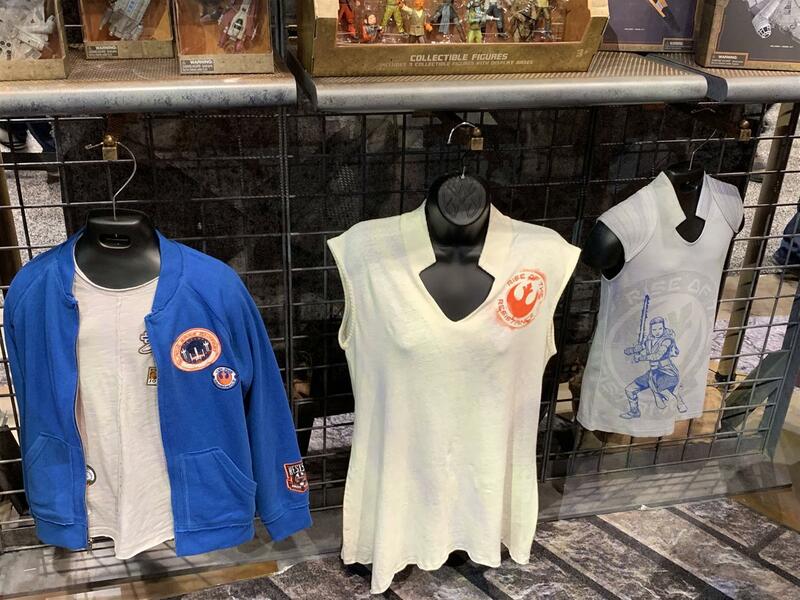 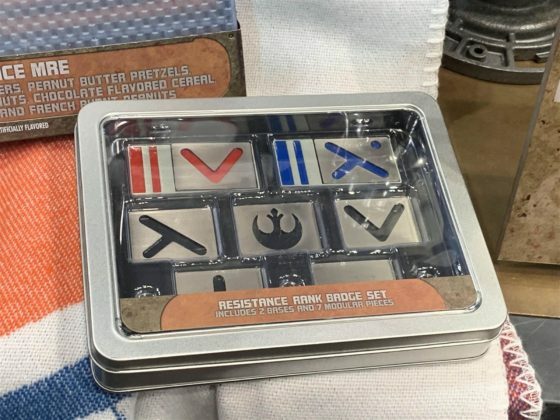 The booth also provides a look at a lot of the merchandise that will be available at Star Wars: Galaxy’s Edge, including everything from First Order paraphernalia and Resistance badges to Star Wars apparel and, of course, collectible pins. 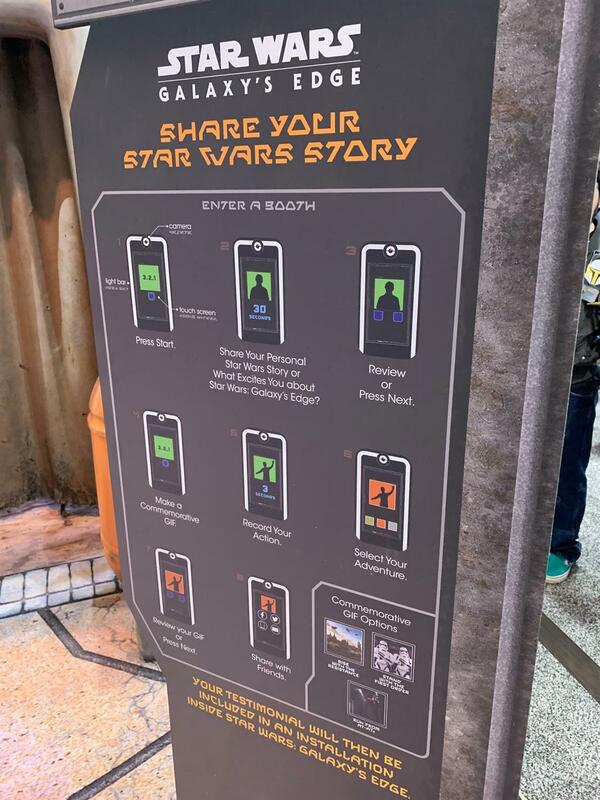 Guests visiting the booth can also share their Star Wars story by recording a video. 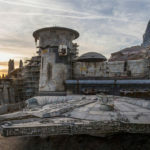 Guest’s testimonials will then be used in an installation inside Star Wars: Galaxy’s Edge. In addition to the ride vehicle, there are also a couple of other great photo opportunities for guests to take advantage of, including a Millennium Falcon backdrop to pose in front of. 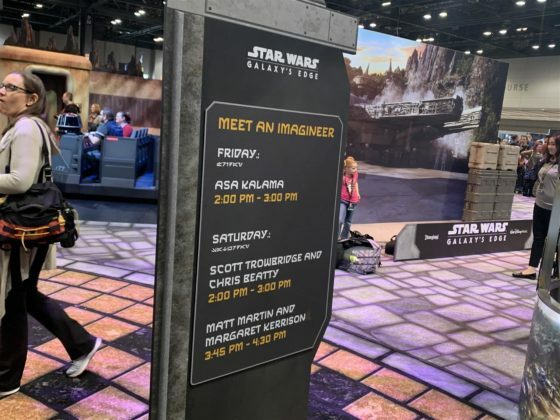 Throughout the event, guests will also be able to return to the booth for various other opportunities like merchandise demonstrations or the chance to meet a Walt Disney Imagineer. 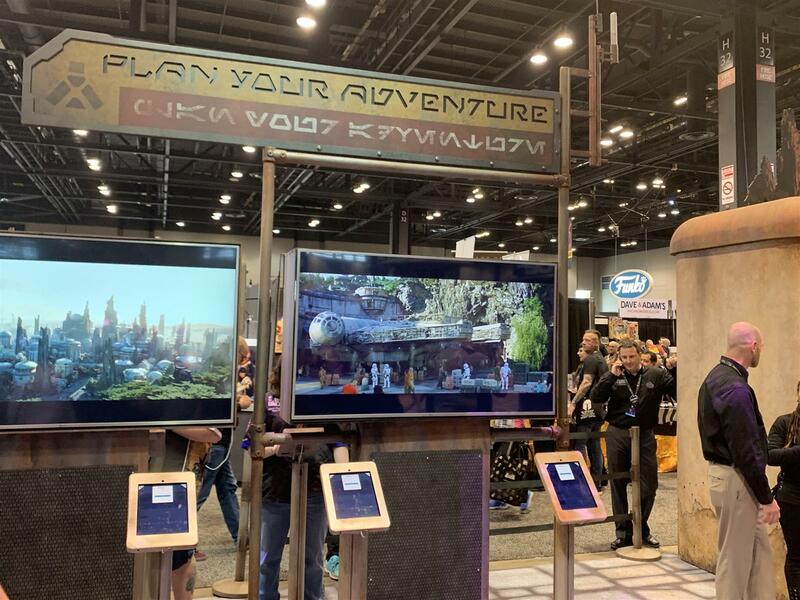 Finally, guests can also prepare for their Star Wars adventure at the vacation planning area, complete with tablets to help book their trips. There will be plenty more to see and hear from Star Wars Celebration Chicago over the next few days. 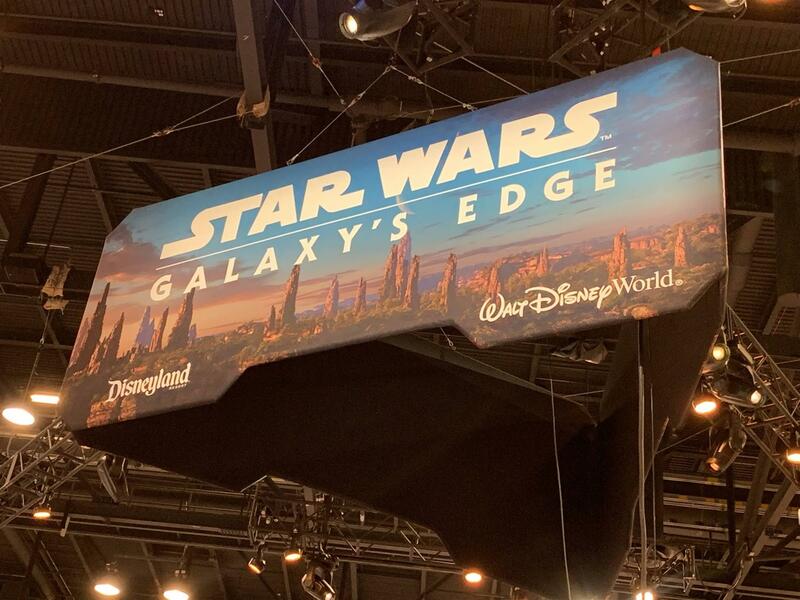 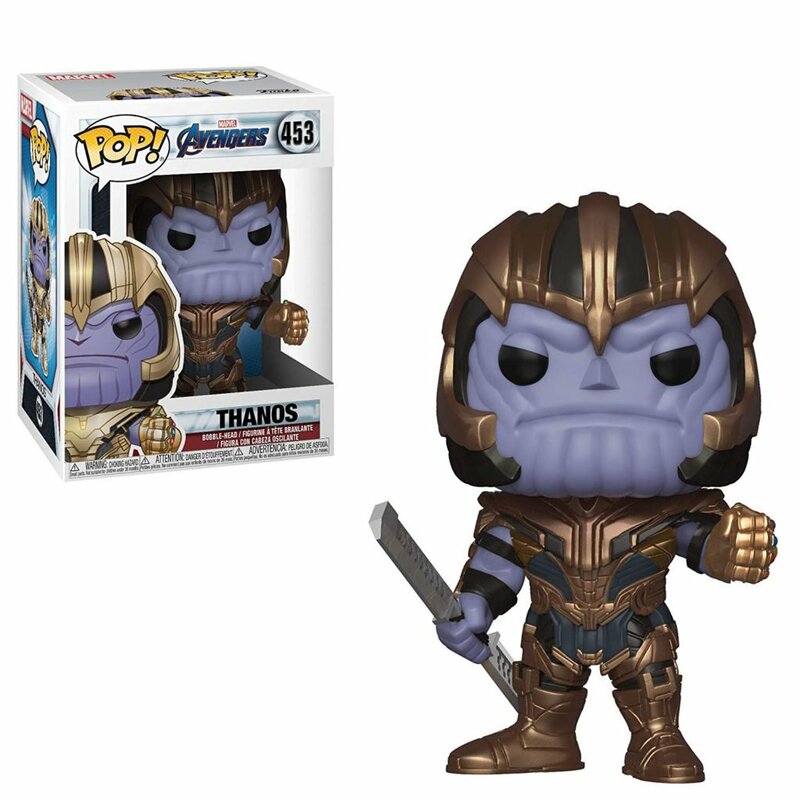 Be sure to check back for all of our coverage of the event.